International Film Festival Rotterdam (IFFR) zooms in further – from Planet IFFR in 2017, to its inhabitants in 2018 and now even closer in 2019: 48th IFFR investigates human emotions and their relationship to images on the screen. The festival also unveils its themed programmes, new names in the Masterclasses & Talks programme and the theme of the second edition of the Reality Check conference. The Spying Thing investigates cinema’s world of espionage: the realm of intelligence and security, true and false, paranoia and propaganda, collusion and fabricated news. In 2018, version 2.0 of the Cold War seemed to get hotter than ever with spying-related reports dominating the headlines. This themed programme offers both classic and rare examples of the genre, surfacing in our contemporary world where, not unlike in cinema, the practices of espionage have been changed by digital surveillance techniques and the preemptive, indiscriminate collection of data. Among the selected films is La flor (Parte 2), a riveting Borgesian six-hour spy tale, forming the middle section of Argentinian filmmaker Mariano Llinás’s tripartite masterpiece. By programmer Gerwin Tamsma and guest programmer Gustavo Beck. Rabbit Hole dives deep into the world of the internet meme: its visual language, reflexivity and translation into other media. Rabbit Hole shows examples of this in short films as well as features, including the international premiere of Dan Schoenbrun’s film about Slender Man entitled A Self-Induced Hallucination. To really delve into the meme universe, there will also be a special Meme Café where you can experience, among other things, an installation by David OReilly entitled Octocat Meme Story. By programmer Inge de Leeuw. By guest programmer Olaf Möller. Say No More is largely a ‘speechless’ film programme, that seeks to stimulate a reappraisal of hushed, quiet attention to film. The central aim is to rediscover the compelling sensation of collective viewing; the notion of togetherness in silence. The programme will comprise both feature films (such as In My Room by Ulrich Köhler), mid-lengths, short films (such as Video Home System by Guusje America) and two installations by Finnish artist Mika Taanila. Soul in the Eye shows the striking upsurge in black Brazilian cinema in recent years. Embracing Brazil’s diversity and drawing on a rich Afro-Brazilian cultural heritage and underexposed histories, these films are heartwarmingly humane, dazzling and confronting. All this is linked to Zózimo Bulbul (1937-2013), a figurehead of black Brazilian cinema who made the history, culture and political situation of black Brazilians visible, as powerfully portrayed in his short film Alma no olho (1973). Among other films, Soul in the Eye screens the international premiere of Ilha by Ary Rosa and Glenda Nicácio. By programmers Tessa Boerman and Peter van Hoof, and Brazilian guest curator Janaína Oliveira. IFFR 2019 will be back with an extensive Masterclasses & Talks programme. Among the confirmed speakers are Cliff Martinez (who has created soundtracks for films such as Spring Breakers and Drive) and Carlos Reygadas, whose latest film Nuestro tiempo will screen at 48th IFFR. In collaboration with Boek & Meester, author and filmmaker Guillermo Arriaga will talk about his films (Amores perros, 21 Grams, Babel) and his latest novel, The Savage. Alfredo Jaar will return to Rotterdam for a talk, co-hosted by the Nederlands Fotomuseum, which is showing an exhibition of Jaar’s photographic work from 26 January onwards. Building on the success of last year, IFFR Pro’s Reality Check conference will return in 2019. In this edition, Reality Check will focus on the development process of stories, from start to finish, from their inception to their delivery to audiences, while asking questions about how to make the story’s process future-proof in today’s rapidly changing development landscape. All professional guests are welcome to join the conversation on Sunday 27 January 2019. Recently the Hubert Bals Fund has announced the new Dutch Post-production Awardin collaboration with the Netherlands Film Fund and the Netherlands Post production Alliance. At IFFR 2019, a jury will choose two winners from a pre-selection of previously Hubert Bals Fund-supported projects. Both prizes include €50,000 in prize money. Virtual Reality is also represented at IFFR Pro 2019 during an all-day VR session on Tuesday 29 January, featuring the presentation of four VR projects, a keynote speaker and a panel discussion. 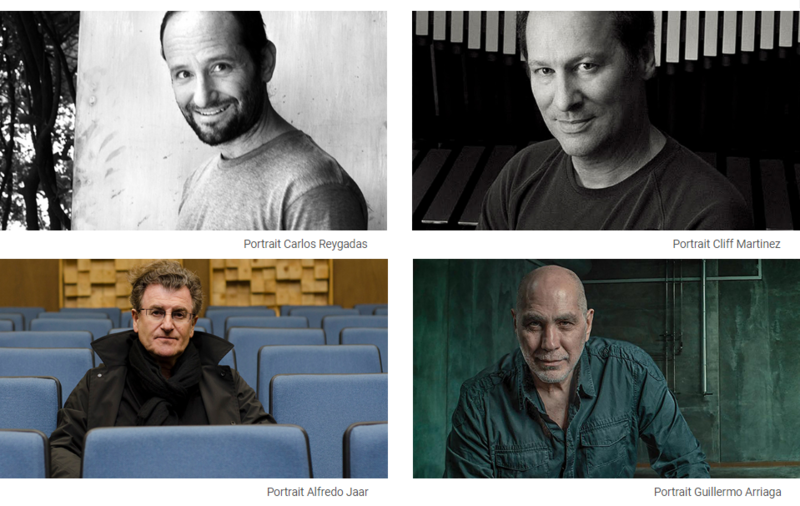 The new event IFFR Pro x Dutch Composers 2019 will invite six Dutch composers for a networking event and a workshop by Cliff Martinez. Art Directions last week, including the installation version of Jean-Luc Godard’s latest film Le livre d’image, a new audiovisual artwork by French artist Philippe Parreno called No More Reality (1988-2018) and a thought-provoking presentation of never-before-seen outtakes from Sergei Parajanov’s classic film The Colour of Pomegranates. Registration for press accreditation is now open. Those registering before Friday 21 December pay a reduced early bird fee of €50. If you have not received an invitation to attend the festival but would still like to visit as accredited press, please fill out the press accreditation request form. More information on press accreditation requirements is to be found here.